Red? White? 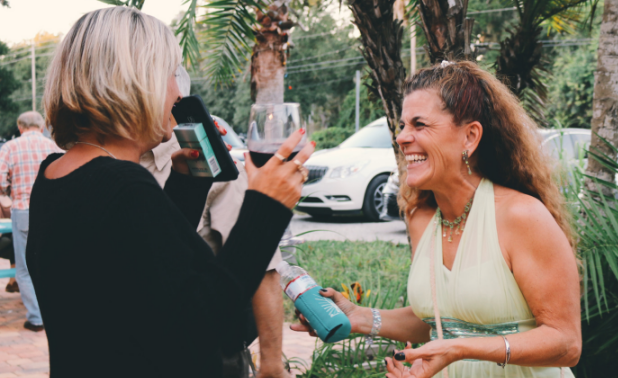 No matter what your wine preference, it was an absolutely charming night for October’s Entrepreneur Night at Hammock Wine and Cheese in Palm Coast, Florida. Set, as always, on the last Tuesday of the month, Entrepreneur Night provided yet another great opportunity for conversation and networking. Everyone from small business owners to large business owners, politicians and more gathered for small bites, fantastic wine, peer-to-peer networking and all-around fun. Pyramid Disc Jockeys played the music to set the tone and Michael Schottey from Office Divvy served as M.C. Beach FM and WNZF provided valuable advertising as sponsors. Office Divvy staffed the hospitality table. 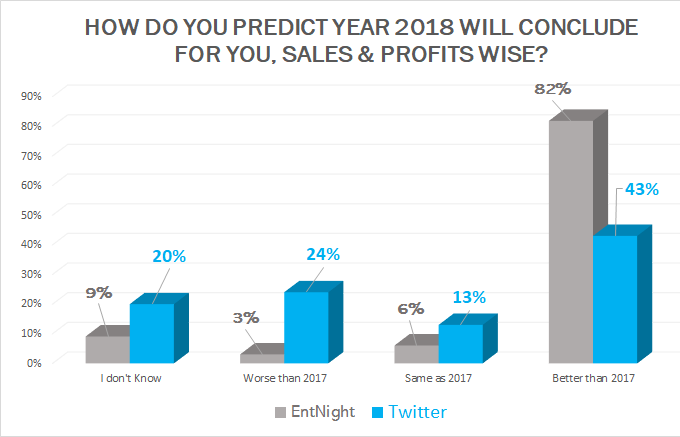 A whopping 82 percent of attendees said that their business in 2018 will finish better than the year before! Only one said that his business was going to finish worse off. Compare this to a worldwide audience on Twitter, and the business outlook for Palm Coast and the surrounding area is in stark contrast. When we asked the same question online, the response was drastically different with only 43 percent having the same positive view. Why the big difference between the two communities? Could it be that Palm Coast and the surrounding area is booming in a way the rest of Florida and the United States can’t match? Or, is confidence here that much better for myriad other reasons? 2017 did feature a major hurricane for Palm Coast. That alone could tell the tale, but only time will tell if Palm Coast business owners are correct in their assessment. This was the 65th Entrepreneur Night since the event’s inception in 2011, and the fourth time it has been held at Hammock Wine and Cheese. Following a trend from September, 22 first-time attendees showed up to October’s Entrepreneur Night. Office Divvy provides peace sign necklaces as an easy way to tell who is joining the event for the first time. Attendees came from as far away as Port Orange and St. Augustine. Tommy Sines of Tangorang said that he was overwhelmed by how many he saw. Normally, I try to talk with every peace sign at the event. There were just so many this time! Plus, I kept getting caught up in conversation. It was a very chatty event! Ray Peter of Palm Coast Business Assistance Center spoke of the BAC’s new program for guiding new entrepreneurs. David Ferguson of the local SCORE chapter also laid out how his their mentors can help. Both organizations serve as event partners. Here is Melissa Chipps on the Soap Box. Young Entrepreneur Tianah Renee is aspiring to launch her business in the coming months, on the Soap Box. Here’s an overview summary video from October 2018’s Entrepreneur Night event. Entrepreneur Night is a grassroots event for and by Entrepreneurs. 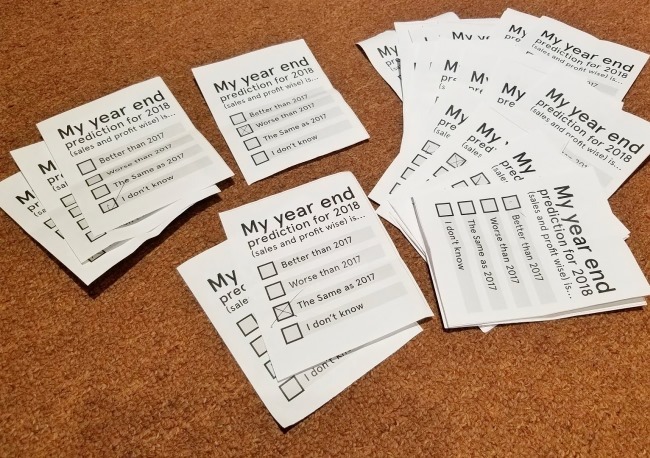 It takes place the last Tuesday of each month—except July, August, and December—at a different location. It is free to attend. Complimentary appetizers and a cash bar are provided by the venue hosting the event. In each event you can expect to meet many new entrepreneurs, investors and service providers; and have meaningful conversations.